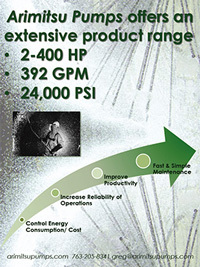 Arimitsu provides proven, industry leading plunger pumps for a variety of applications including Carwash, Industrial, Misting and Carpet / Upholstery Cleaning. 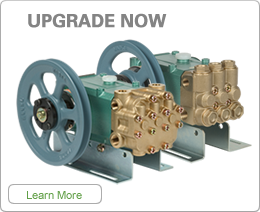 With lower energy consumption pumps that provide more pressure, quieter equipment rooms and fewer repairs, you can't go wrong with Arimitsu Plunger Pumps. Arimitsu maintains dominant market share in Japan's Car Wash market by constantly providing quality pumps and responding to customer needs. 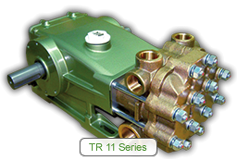 Customers prefer Arimitsu Pumps in applications that require low noise, compact size and durability. 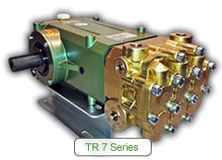 Arimitsu proven plunger pumps are the industry leader for many applications. For folks committed to efficiency and quieter equipment. ©2005-2013 Arimitsu of North America. All rights reserved.